Tallulah Gorge is a nearly thousand-foot-deep canyon which follows the Tallulah River for two miles resulting in one of the most beautiful natural areas in Georgia. 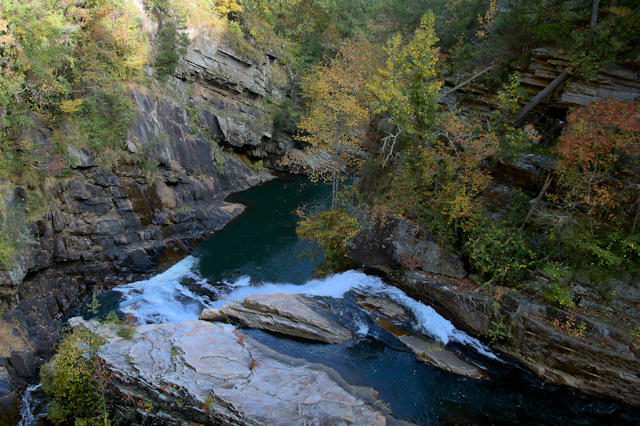 The spectacular site is accessed at Tallulah Gorge State Park and is a mecca for outdoor recreation enthusiasts. I didn’t have much time when I was here, but even a visit of a couple of hours is one of the most rewarding trips in Georgia. 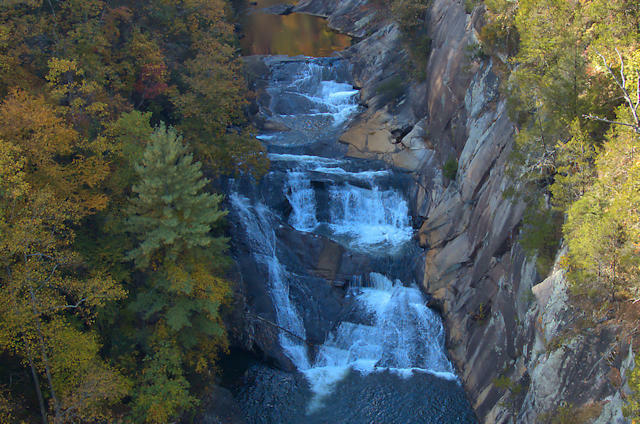 The first thing you’ll see if you plan on the strenuous descent to the Hurricane Falls suspension bridge, is L’Eau d’Or Falls, actually a series of several smaller falls. It’s a mere 350 feet below. 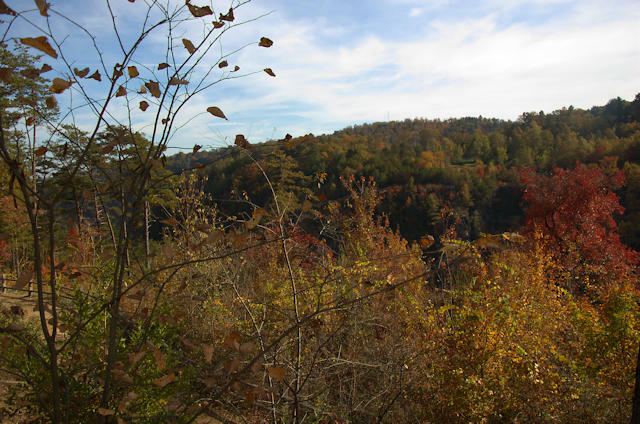 If you make it to the bridge, you’ll be rewarded with this spectacular view of the top of Hurricane Falls. 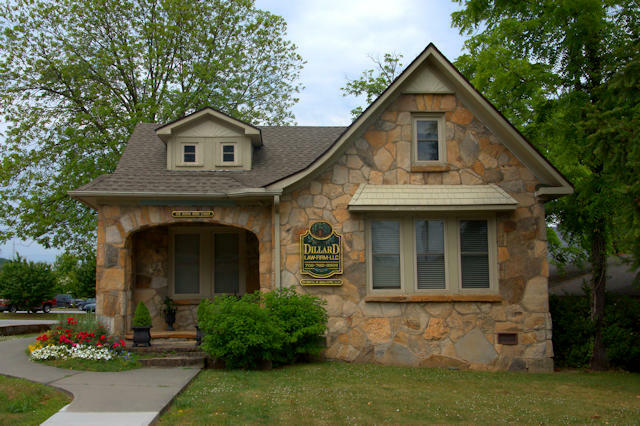 This is an attorney’s office. I don’t know if it was built recently for this purpose or if it was originally a house. Stone structures like this are emblematic of the mountains to me. 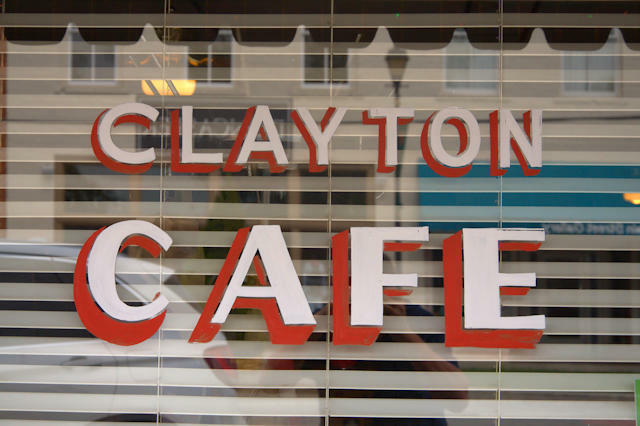 Opened in 1931, the Clayton Cafe is the landmark eatery in Clayton. It’s had numerous owners over the years, including the late Quincy and Jurelle Webb. 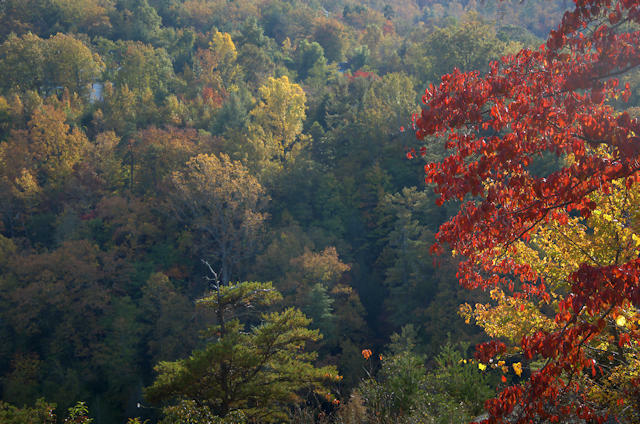 Over several years, Quincy shared numerous memories of growing up in South Georgia in the old days on Vanishing South Georgia and I always looked forward to his insightful recollections. 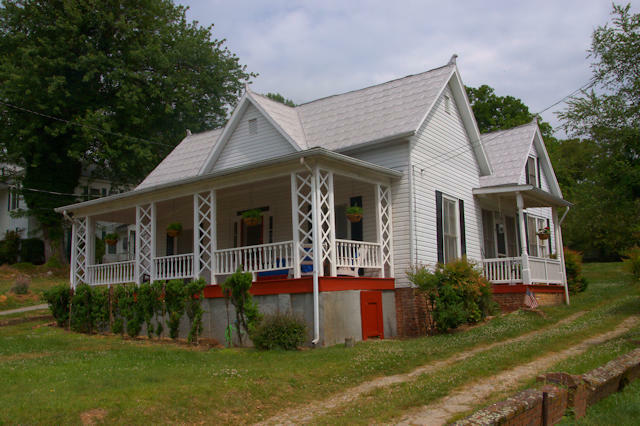 As to the restaurant, it has one of the most popular breakfasts in Northeast Georgia, among a whole slew of home cooked favorites. 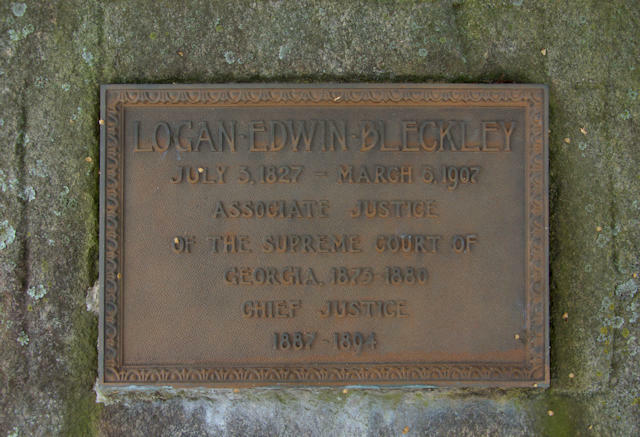 A simple stone pillar with this bronze plaque honors Rabun County native son Logan Edwin Bleckley (3 July 1827-6 March 1907), who served the Supreme Court of Georgia as an Associate and Chief Justice. He was quite the renaissance man with interests far beyond law. Poetry, philosophy, and mathematics were just some of the subjects he pursued in his spare time. Though considered a brilliant jurist, his humility prompted him to feel unqualified to sit on the bench and citing health issues he resigned both his brief tenures on the state’s highest court. 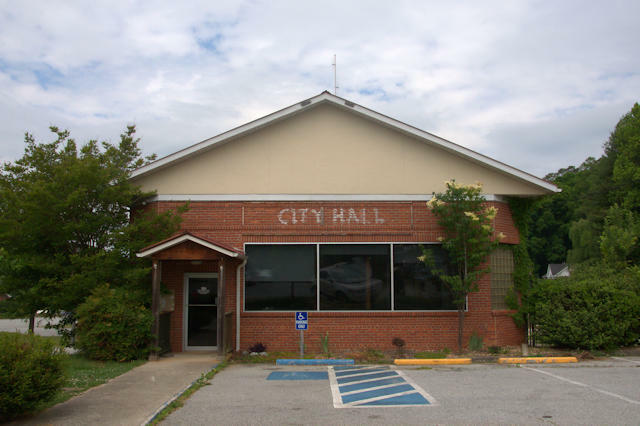 Bleckley County is named in his honor. This appears to have served as the city hall at one time, or perhaps it was just an annex. I believe the roof is a later addition and this could have originally been something like an automobile dealership or meat locker. I’ll update when I know more. 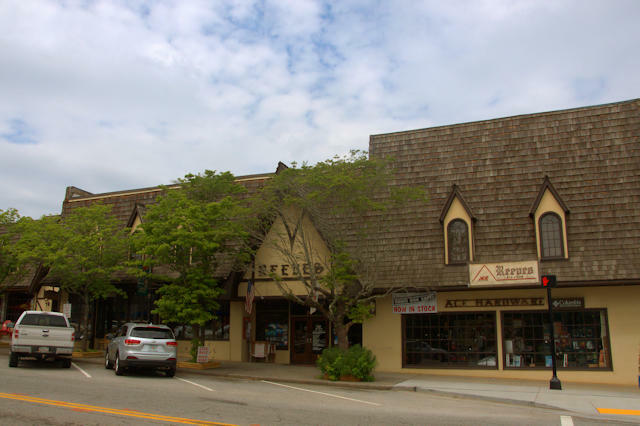 Reeves is a landmark in Clayton. They’ve been in business since 1928 and are still one of the busiest places in town.